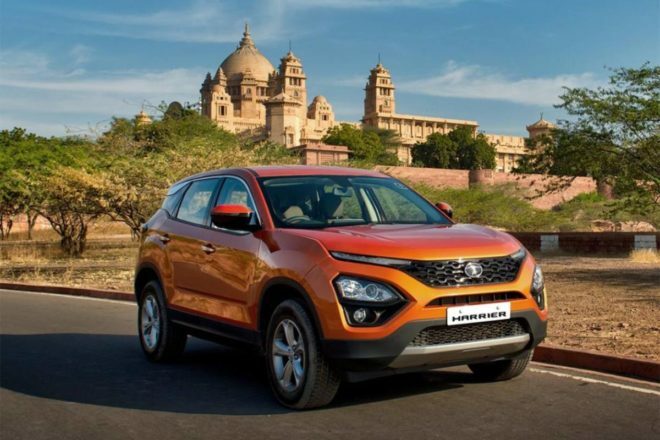 Tata has launched the Harrier SUV in the Indian market priced at Rs.12.69 lakh. The car first came out in the form of Tata H5X concept at the last year’s Auto Expo and the production version has managed to retain most of its original appeal from the concept. The car features an untraditional front design with headlights placed on the lower side of the bonnet. The day time running lamps look sleek and sit higher on the front grille giving the car a very promising stance. With Harrier’s launch, the company has debuted its IMPACT Design 2.0 philosophy. The car packs a 2.0-litre four-cylinder Kryotec turbodiesel engine which delivers close to 140bhp of maximum power and 350Nm of peak torque. The engine comes mated to a 6-speed manual gearbox, while the power is pushed to the front two wheels. Currently, there is no word on the 4WD option or automatic transmission. But Tata could launch the same in the later season updates of the Harrier SUV. The car features an ESP-based 'Terrain Response' mode which allows the vehicle to adjust as per different terrain conditions. Inside the cabin, the car features a massive 8.8-inch floating touchscreen infotainment system, 8-way adjustable driver seat with a four-way adjustable co-driver seat, leather upholstery, climate control, electric outside rear view mirror, cooled storage box, umbrella holder and more. The top of the line XZ variant also features a 10-speaker JBL audio setup, a 7-inch display in the instrument cluster and xenon projector headlamps. The car is being offered in a total of four variants including XE, XM, XT and XZ.